FX Premium delivers good looks and great performance, keeping you and your passengers cool and comfortable. As 3M's newest automotive window film addition, FX Premium offers an economical alternative without sacrificing quality. Because FX Premium is non-metallized, you will enjoy no signal interference on your cell phone, satellite radio or GPS system. These darker shaded films are designed to reject solar heat that is produced from visible light. FX Premium rejects up to 45% of the heat coming through your windows. 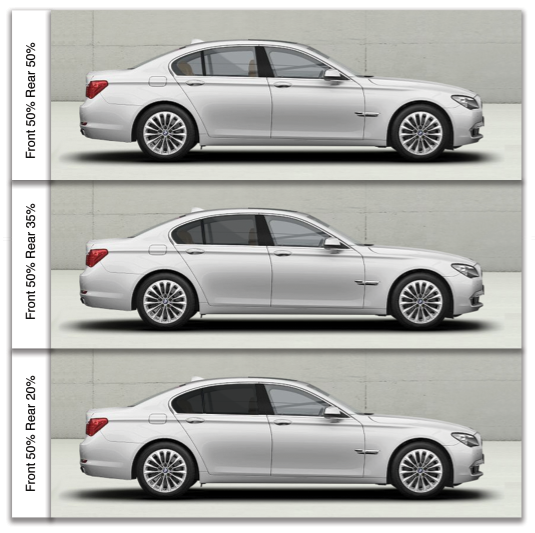 FX Premium films also provide significant glare relief, allowing only 5% to 55% of the light into your car. As of April 2015, all new window tinting jobs at Movin' On are performed with high quality 3M film, and have a lifetime warranty. Call (516) 489-2350 or Contact Us to check availability.